I don’t know about you all, but this week I’ve been especially thankful for the peace I can feel when I pray. So it seems appropriate that today’s post is focused on prayer. I decided to pull in an expert to help me with this post and I’m thrilled to (virtually) introduce you all to an amazing author and friend of mine, Catherine Christensen. If I were more technologically savvy, I would’ve recorded these questions as a video interview or something so you could all hear her cool British accent, but I’m afraid you’ll just have to imagine it in your head as you read her answers. 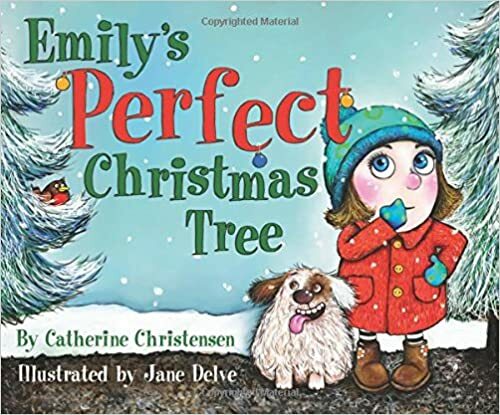 Catherine is the author of two new picture books that were released this year, Emily’s Perfect Christmas Tree and I Can Pray Every Day. She also has several more projects in the works, so she is definitely a busy lady. I’m grateful she took the time to answer my questions and I hope you’ll all enjoy getting to know her. She has some great advice to share below about teaching little ones to pray and how to rely on prayer yourself. Heidi: What’s your favorite scripture story about prayer? Catherine: 1 Nephi 15. Nephi’s brothers were complaining (again) because they didn’t understand their father’s vision about the Tree of Life. Nephi had already prayed and received his answer. He then asks his brothers, “Have ye inquired of the Lord?” Wow! That phrase always gets me, because too often I forget to ask the Lord for help or for guidance or for knowledge. Heidi: I love that story too. Do you have any tips or activity ideas for teaching little ones about the importance of prayer or how to pray? 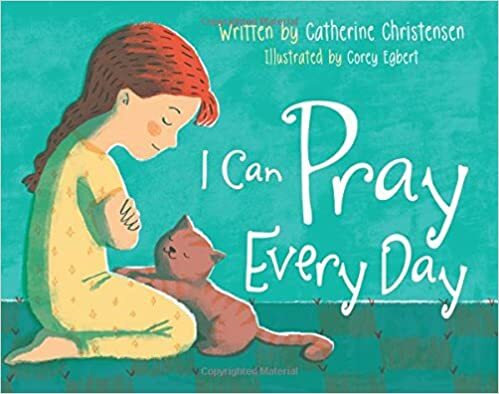 Catherine: Right before you pray together, chat about a few things your little ones could pray about. What are they grateful for today? What was the best part of the day? Do they need help with anything (homework, not hitting, obeying)? Having short little discussions before prayers can help prayers be more focused and meaningful, even for little kids. Also, it starts to help kids understand that they can pray about what is important to them! I used a variation of this technique myself when I was working on my Personal Progress as a teenager. The goal was to think about what you wanted to pray about before actually praying. I was surprised at how much more meaningful my prayers were, and how it helped me avoid the rote phrases I often said. So really this tip works for all ages! Heidi: How are you teaching your daughter to pray? Catherine: My daughter is seventeen months old. We’ve started working on prayer basics like sitting still, folding arms, and saying “Amen.” She is getting better at lasting more than five seconds, but we still try and keep it short. Often in the middle of prayers we have to remind her we are still praying, and she’ll come back from wherever she has wandered and fold her arms. We also show her pictures of Jesus and Heavenly Father so that hopefully at some point she can figure out who we are talking to when we pray. I’m sure she doesn’t yet, but at least she can recognize them in pictures. One step at a time, eh? And, perhaps most importantly, I now try to pray aloud when I’m around her. I learned to pray from the wonderful example of my parents. I’d love my daughter to have the same experience. Heidi: Can you tell us about a time when your prayers were answered in a way you didn’t expect? Catherine: I always used to hope that my prayers would be answered with a voice in my head or an undeniable prompting of some kind. That has happened a few times, but for me it’s kind of rare. One night when I was a teenager, I sat on my bed praying for an answer, pleading, crying, frustrated that the Lord wouldn’t talk to me. I finally gave up praying and opened my scriptures. I flicked through a few pages and just started reading in a random spot. Suddenly, there was my answer, in a verse I just read! I realized from that experience and many others that I generally don’t get my answers by waiting for the words to come to me—I have to go to the words. My prayers are often answered in the scriptures, in hymns, in talks, and in blessings. Heidi: What inspires you when you’re writing? Catherine: Lists! Whether I’m writing fiction, or nonfiction, children’s books, or novels, I make lots of lists. Lists of new book ideas, character names, favorite things, thoughts on a gospel topic, cool settings, words that rhyme, snippets of scenes that don’t fit anywhere. . . . Whenever I am stuck or wondering what to do next, I look through my lists or write new ones to get ideas and feel inspired. Thank you for sharing your insights with us, Catherine! You can find Catherine’s books at your favorite LDS bookstore or online at Amazon, Books & Things, Deseret Book, and Barnes & Noble. I know that there will be times of worry and heartache like this past week has been for me, when we need to feel that peace. And I know that in those times our loving Father in Heaven wants us to come to him with our sorrows, just as He wants to hear from us in the good times, too. He is there for us no matter what, and for that I am so grateful. I know Catherine personally and she has a beautiful testimony of prayer. Her spirit is touching so many lives.